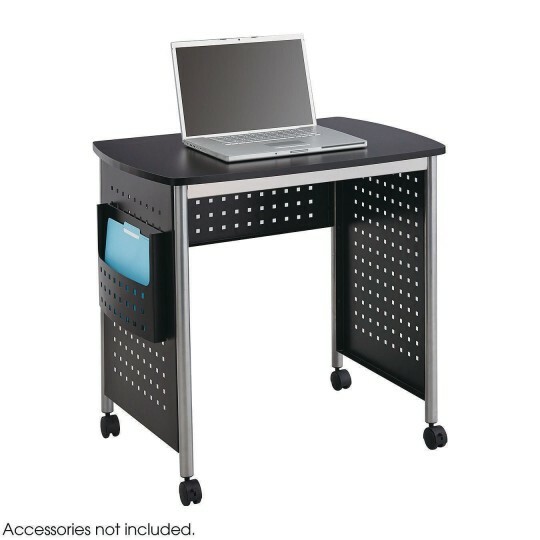 Sit-down and stand-up desks nest together. Hole-pattern design with side pocket on both desks. Mobile on four casters (two locking). Complements entire Scoot line of products. Measures 32-1/2” x 22” x 30-1/2”.